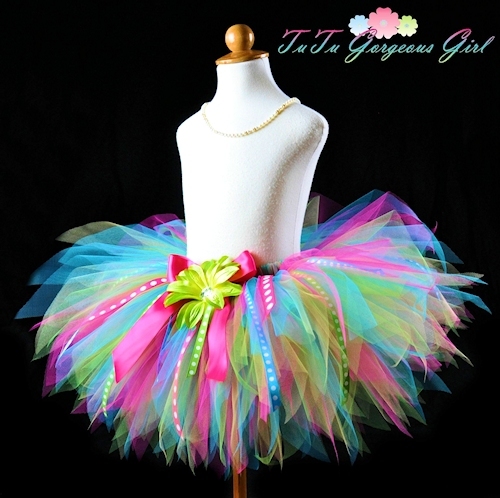 The Birthday Surprise Tutu features fuchsia, yellow, lime and turquoise tulle with polka dot ribbon streamers. One, two, three SURPRISE! 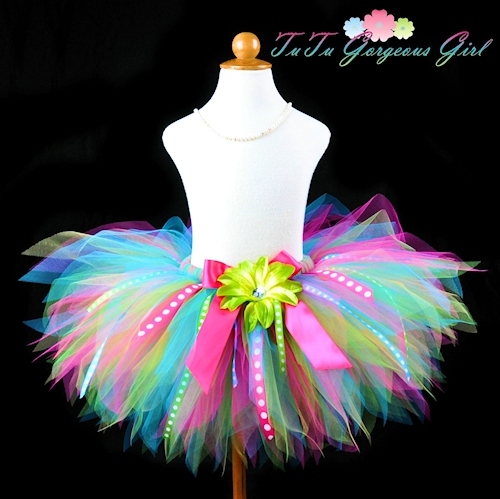 Your birthday girl will be delighted to dress up in this fun and colorful ribbon tutu for her birthday. 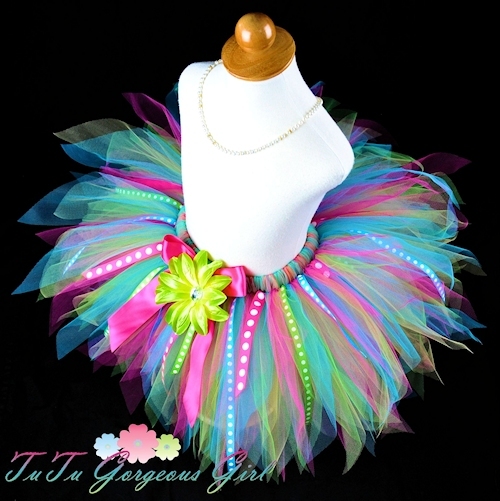 The Birthday Surprise tutu features hot pink, apple green, yellow and turquoise tulle, and features polka dot ribbons throughout the tutu. Tutu includes a satin bow at the waist and optional flower clip and stretch headband. *Some ribbon designs shown have been discontinued. New style ribbons will be used instead but will coordinate perfectly!